Acne is a fact of life. Most people will experience acne in some form during their lifetime. The symptoms can be embarrassing and hard to get rid of. Severe cases can cause scarring and tissue damage. Acne can also lead to lower levels of self-confidence feelings of self worth. It might seem counterintuitive to treat clogged pores with more oils. However, essential oils contain chemical compounds and antioxidants that help to moderate oil production and support clear skin. Adding essential oils to your beauty routine is worth considering as a way to treat the symptoms of acne. Start looking and feeling better with these essential oils for acne. Pores lubricate the skin by producing sebum—or oil—that is released to the skin's surface through hair follicles. Acne occurs when these pores become clogged. Blockages occur when too much oil is produced or when dead skin cells or bacteria build up in pores. Bacteria flourishes in clogged pores, leading to acne breakouts. The results are unsightly pimples and zits that can be hard to eliminate. Acne can occur at any stage of your lifetime, but is most common during puberty. Acne can be triggered by hormonal changes, certain medications, genetics, and dietary factors. Diets that consist mainly of carbohydrates and sugars tend to cause increased occurrences of acne breakouts. For some people, acne is simply hereditary. Fortunately, essential oils can help treat the symptoms of acne so you can start feeling and looking your best. Most acne symptoms are treated using over-the-counter or prescription medications. Many of these medicines have negative side effects or can only be used on certain types of skin. They can also contain harsh chemicals that can be damaging to sensitive skin or cause skin irritation. Luckily, essential oils can help to reduce the appearance and occurrence of acne. They can be used on all skin types from oily skin to dry skin. Essential oils contain antioxidants and chemical compounds that reduce redness and directly target the bacteria that cause breakouts. Here, we've put together a list of the best essential oils to fight acne. Just use a few drops in combination with carrier oil and you'll put your best face forward. Jojoba oil is technically a carrier oil, not an essential oil. However, its health benefits are so powerful, it's worth mentioning for treating acne. Jojoba oil clears and minimizes pores. This helps to eliminate existing breakouts and prevent future ones. A 2012 Swiss study showed that jojoba oil is effective in treating mild cases of acne. It works to minimize lesions and scars caused by the skin condition. The study examined 133 participants over a 6-week period. Fifty four percent of participants demonstrated a decrease in acne lesions when using the clay jojoba oil masks. The masks were applied two to three times per week. At the end of the study, the mean reduction of pimples was almost 50%. Jojoba oil is chemically a wax ester. It mimics the production of human sebum, which regulates oil production. The application of jojoba oil triggers skin cells to stop producing sebum. This is particularly effective for people who have oily skin. Jojoba oil can be combined with any of these essential oils since it is a carrier oil. It can also be applied by itself directly to acne-prone skin. Rub 5 to 6 drops of jojoba oil directly onto affected areas. Jojoba oil can also be added to face wash or moisturizer for daily use. Lavender oil is known for its soothing and calming properties. The scent of lavender oil induces peace for people who have anxiety related to their acne. Lavender oil's most powerful ability is to reduce stress that can cause acne flare-ups. This oil also has antimicrobial properties that directly target acne-causing bacteria. A study published in Archives of Dermatology looked at the connection between stress and increased severity of acne. The study consisted of 22 university students who were examined for acne and stress levels during examinations. The research showed that students with higher levels of stress also showed worsening of acne symptoms. Every pore has hormone receptors that are triggered to increase sebum or oil production. When the stress hormone cortisol increase, so does production of oil in the skin. This excess oil can cause acne. Treat acne and the stress that causes it using lavender oil aromatherapy. Just add 3 to 4 drops of the oil to your diffuser anytime you feel anxiety. You can also place a few drops on your wrist so you can relax even when you are on the go. Use lavender oil as a spot treatment by combining 2 drops with 2 drops of carrier oil. Apply directly to skin with your fingers or using a cotton ball. Many acne medications contain tea tree oil as an ingredient. Tea tree oil is also known as melaleuca oil. This oil has antimicrobial and antibacterial properties that help to eliminate the bacteria that can clog pores. A scientific review conducted by the University of Western Australia examined the use of tea tree oil in treating acne. The oil was found to help reduce pimples in patients who had mild to moderate acne. A study published in the Medical Journal of Australia also found that people with sensitive skin tolerate tea tree oil better than strong prescription medications. The study analyzed 124 patients who were given either 5% tea tree oil or 5% benzoyl peroxide—a common acne medication. The results showed tea tree oil was just as effective as the prescription medication, but had a slower response time. A third study published in the Indian Journal of Dermatology, Venereology, and Leprology examined the use of tea tree oil in treating acne vulgaris. The study consisted of 60 patients. Half of the participants used 5% tea tree oil while the other half used a placebo. The participants were examined every 15 days for a 45-day period. The tea tree oil was close to 6 times more effective than the placebo in acne severity. 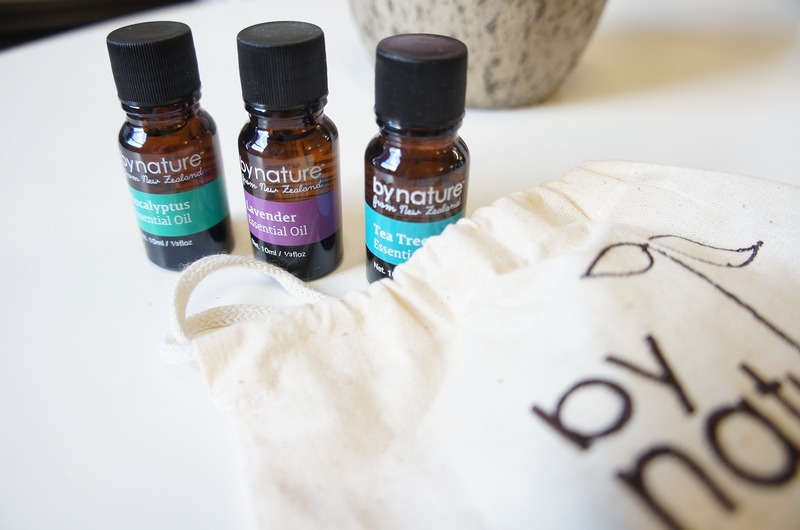 Apply 2 drops tea tree oil and 1 drop carrier oil such as coconut oil to a cotton ball to treat pimples individually. Apply directly to the affected areas. Make your own face wash using several different essential oils. Combine 1 ounce of carrier oil with 1 drop each of lemon oil, geranium oil, and helichrysum oil. Add 4 drops tea tree oil. Use as you would your regular face wash. For best results, wash your face at least two times per day and clean skin anytime you workout or sweat a lot. Frankincense oil has anti-inflammatory properties and antioxidants that can clear up skin. Pollution and other environmental factors can cause a build-up or bacteria, free radicals, and dirt in your pores. When left untreated, these conditions can lead to acne. Frankincense antioxidants work to eliminate these invaders to reduce the appearance of fine lines and wrinkles. Frankincense oil is also a powerful cicatrisant, meaning it helps to heal wounds and speed up cell regeneration. Severe cases of acne can cause deep, pitted scars. Frankincense oil can reduce the appearance of these scars by reactivating skin cell tissue. A study published in the Journal of Traditional and Complementary Medicine found that frankincense oil helps to reduce redness and produce an even skin tone. The oil is soothing and its woody aroma makes it particularly useful for both women and men. Make a DIY face mask using essential oils to improve the overall look of your skin. Combine 2 teaspoons raw honey, 3 drops frankincense oil, 3 drops tea tree oil, and 3 drops clary sage oil in a small bowl. Slather onto your face and let sit for 10 to 15 minutes. Rinse gently with warm water and pat dry. Clary sage oil is useful for controlling oil production in the skin. This oil is particularly helpful if you suffer from acne caused by oily skin. 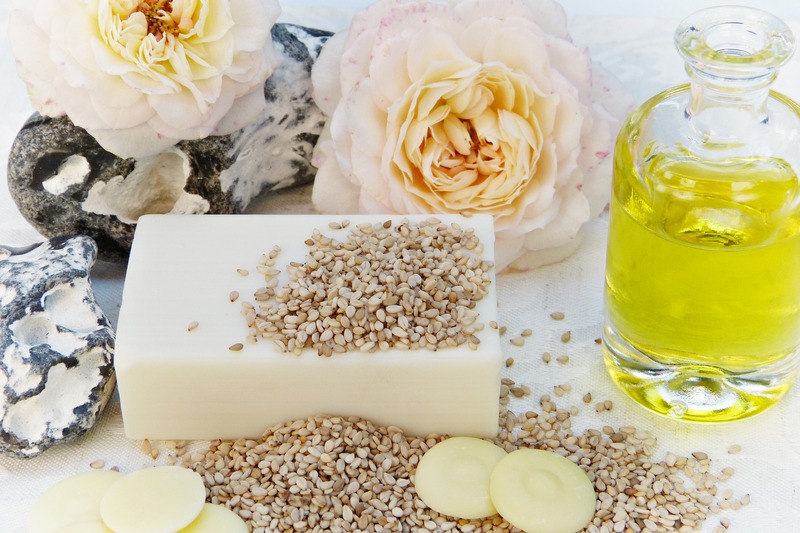 Regular use of clary sage oil can help to moderate oil production leading to fewer breakouts over time. Sage oil contains camphor and camphene, which are antimicrobial in nature. They prevent the growth of bacteria that can cause breakouts. Clary sage also contains linalyl acetate, another chemical compound that reduces inflammation and redness characteristic of acne. Sage oil has also historically been used to treat the appearance of scars. The oil stimulates cell and tissue regeneration and breaks up old scar tissue. Just like lavender oil, clary sage oil also helps to reduce stress to limit new breakouts. Combine 3 drops of sage essential oil with your preferred carrier oil. Avocado oil, tamanu oil, and moringa oil are the best choices for reducing the appearance of scars. Warm the oils between your hands and apply directly to the scar. Massage in a gentle, circular motion for 2 minutes. Repeat 2 times daily for the best results. Rosemary essential oil boasts antibacterial and antiseptic properties that fight the bacteria that causes acne. The antiseptic qualities are particularly suited to treating acne triggered by inflammation. It is commonly used in skin care products and natural remedies for acne treatment. A study published in Planta Medica examined the effectiveness of rosemary oil in treating P. acnes—the bacteria that causes acne. The rosemary oil was effective in damaging and in some cases, completely eliminating the bacteria. The anti-inflammatory properties of this oil reduce inflammation and redness of the skin. The oil also increase circulation which improves skin tone. Rosemary oil also helps to reduce the production of excess oil and minimize acne breakouts. Acne can occur anywhere on your skin, not just your face. Use a few essential oils and other ingredients to create a homemade acne-fighting body wash. Combine 6 drops of rosemary oil with 1 cup of finely ground oatmeal and half a cup of rose water. Blend well and apply all over skin. Rinse off in the shower as you would soap or regular body wash.
Bergamot essential oil is derived from the citrus rind of the bergamot orange plant. It is a citrusy essential oil that smells delightful and is a powerful acne-fighter. Citrus oils are known as natural cleansers, which is why you often find them in natural cleaning products. Bergamot oil exfoliates dead skin cells and prevents them from collecting in pores. This oil also balances oily skin to prevent acne caused by oil build-up. This oil has been used for centuries to minimize the appearance of scars and as an antiseptic ointment. The oil has an uplifting fragrance that can reduce stress that triggers excess oil production. 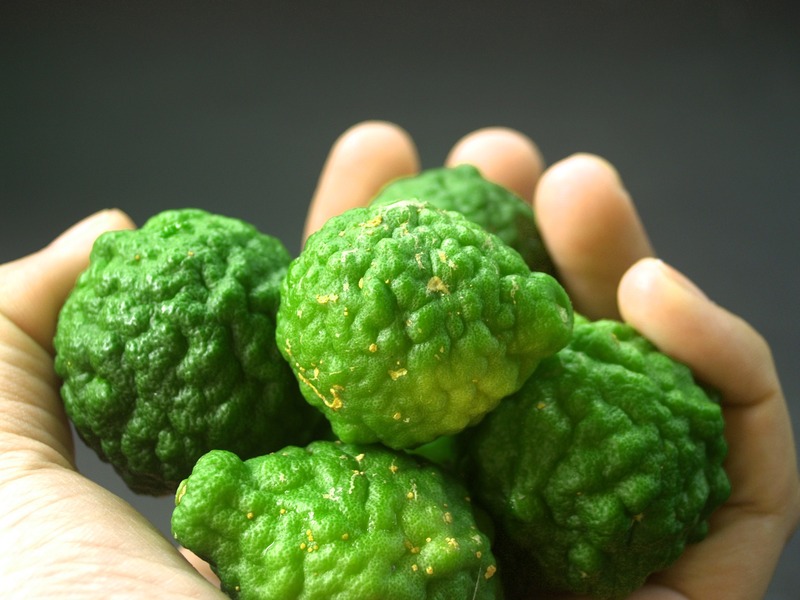 The anti-inflammatory properties of bergamot oil help to shrink pores and prevent bacteria build-up. Combine 5 drops of bergamot essential oil and 1 ounce of carrier oil. Apply directly to irritated skin. Make your own face wash by combining 1 cup distilled water, 7 drops bergamot essential oil, 20 drops witch hazel, and 5 drops tea tree oil. Wash your face being careful to avoid your eyes and mouth. You don't have to use harsh prescription medications to get rid of acne fast. Apply essential oils to your skin for beautiful results. Pick one of these oils or mix and match a few to find the best combination for your skin. The powerful chemical compounds ensure pimples and redness disappear sooner. These oils help to reduce inflammation and stress that can cause acne. They also work to defeat bacteria that accumulate in pores and leads to breakouts. Get gorgeous, clear skin with pure essential oils.